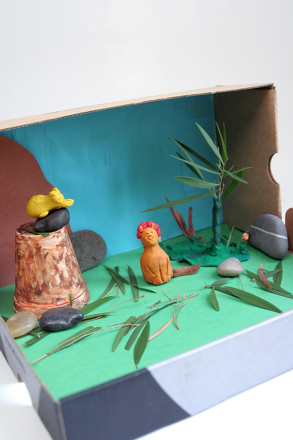 This lesson can be used as a pre-lesson for the How to Analyze a Character lesson plan. 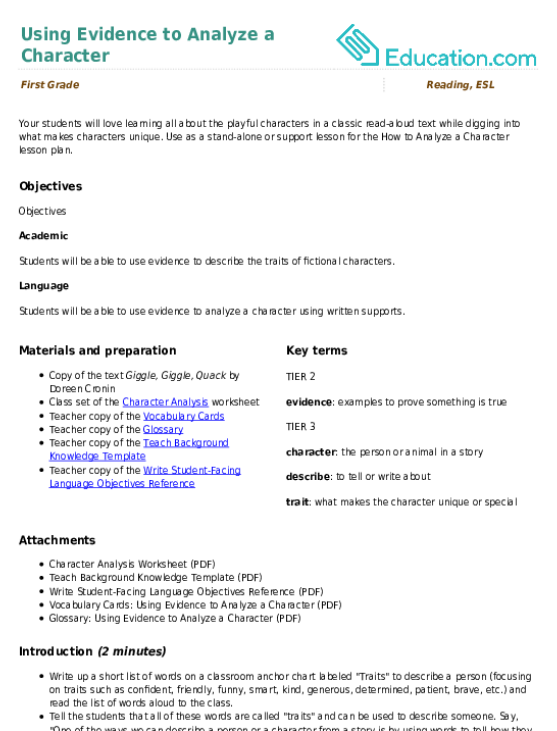 Students will be able to use evidence to describe the traits of fictional characters. Students will be able to use evidence to analyze a character using written supports. Write up a short list of words on a classroom anchor chart labeled "Traits" to describe a person (focusing on traits such as confident, friendly, funny, smart, kind, generous, determined, patient, brave, etc.) and read the list of words aloud to the class. Tell the students that all of these words are called "traits" and can be used to describe someone. Say, "One of the ways we can describe a person or a character from a story is by using words to tell how they behave or look. A trait is what makes them unique or special." Explain that today they will get to practice identifying the traits of people and characters. Refer back to the class anchor chart and ask students to brainstorm other traits. As needed, explain that traits and feelings are not the same thing. When the class has brainstormed additional traits, ask the class to choose two traits from the chart to describe you. Write up a T-chart titled "Traits/Evidence" on the board. Ask students to turn and share their ideas with a partner. As students share out, record their ideas on the T-chart. Ask students to prove their thinking using evidence. Provide examples as needed to demonstrate how to use evidence. For example: "I am patient; I wait for everyone to finish a project before starting something new." Explain that now you will be reading aloud a text, and as you read, you will be paying close attention to the main character, Duck. Project the worksheet on the board and record ideas. Read aloud the text and pause to notice Duck's actions, words, and expressions. Invite the class to help you find and describe Duck's traits while finding evidence to support their claims. Tell the students that they will now get to practice identifying traits and evidence for a character on their own. Explain that students can choose to analyze either Bob, Farmer Brown, or Duck (although encourage students to use different ideas than the class recorded previously). 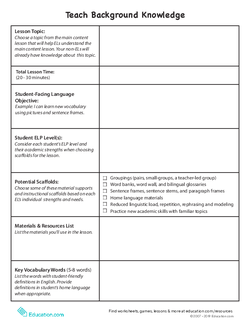 Pass out copies of the Analyzing Characters worksheet for each student to complete independently. 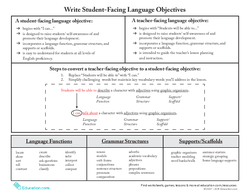 Provide pre-written sentence starters for students to utilize when recording their evidence. Pair students up with another student who speaks the same home language (L1) to verbally share their ideas before recording them in written form. 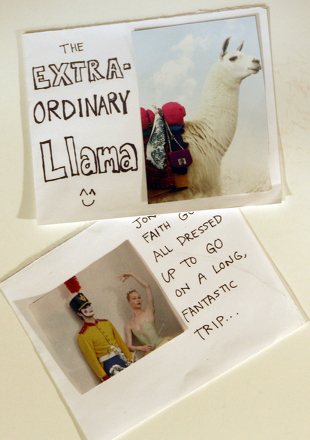 Encourage students to write more detailed sentences to describe themselves or their character. 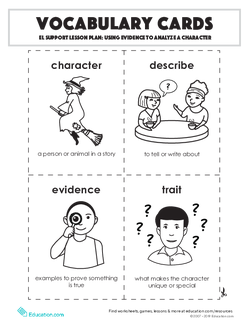 Provide additional vocabulary words for students to utilize when describing a character's traits. Informally assess students by listening as they pair-share their ideas and asking open-ended questions about the characters students chose to focus on in the independent work portion of the lesson. 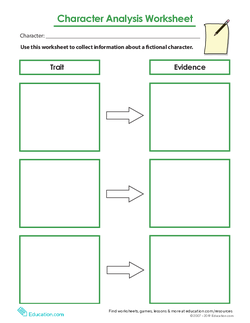 At the end of the lesson, collect student worksheets and assess whether students were able to use the classroom anchor chart and accurate evidence to describe their fictional character. Gather the class back together and invite students to turn and talk to share one of their traits and the accompanying evidence with a partner. As time allows, have students share out with the class while you record their ideas. Close by saying, "As we read we can pay close attention to how a character looks, acts, and speaks in a story, and that can help us learn more about who a character is as a person." 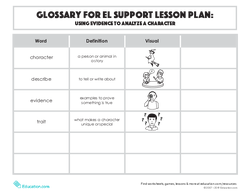 Use as a stand-alone or support lesson for the How to Analyze a Character lesson plan. "It was a dark and stormy night..." There's no better time to get some writing practice in than Halloween, when everyone becomes a character! 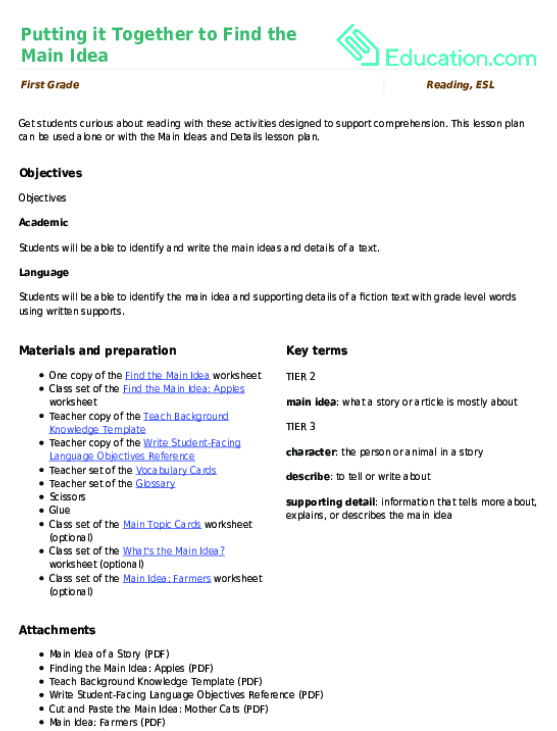 Use this writing assessment to evaluate their abilities to develop and describe characters in their narrative writing texts. 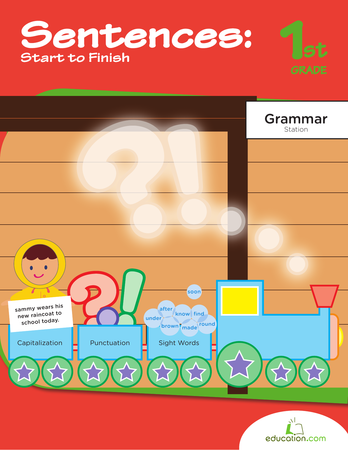 Looking for a worksheet to help your child with patterns? 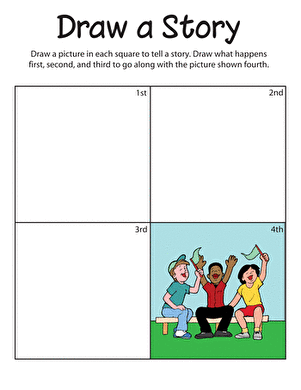 This printable worksheet will give him practice with creating a logical sequence of events.